I just watched the football game played between Germany and Ghana. Germany won with 1-0 score. Now its time to play for memes. 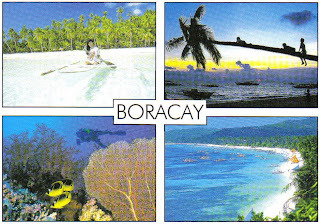 I have below a postcard from Boracay, Philippines. This island is considered to be one of the finest beaches in the world. 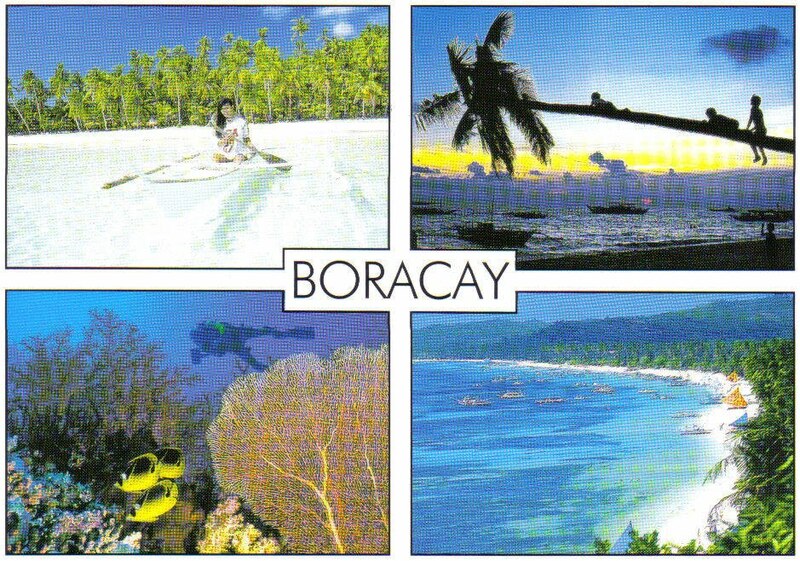 I bought this postcard during my vacation to the Philippines this year. I hope to visit it next time. Thanks also to my blogger friends who left some comments here. I wish to visit you as soon as I can. I have to sign-off now and go to bed. I need to do some errands early tomorrow. Goodnight! Feel free to visit and join these wonderful memes; World Tuesday, Watery, Wordful, and Wordless Wednesday. Thanks to the Authors of these sites for sharing these wonderful memes in the blogosphere.